If you have about 25 minutes to kill this morning, you can count up each one of the holdings. If not, I won't keep you in suspense...it's 55. 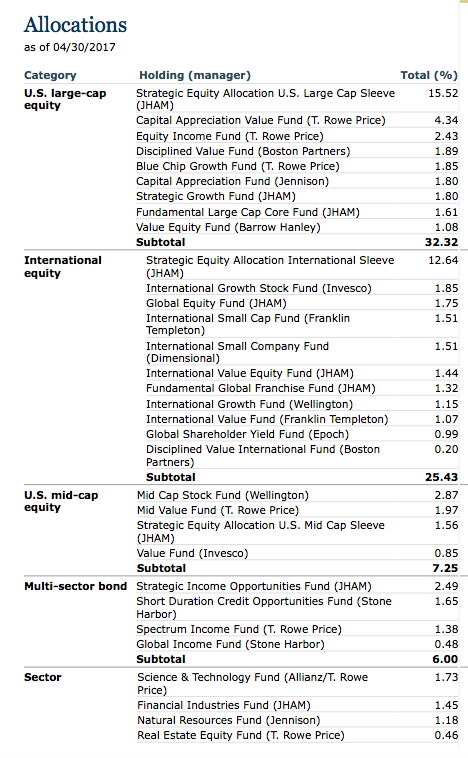 Fifty-five different mutual funds in a Target Date Fund! The Disciplined Value Fund gets 0.20% of the fund. A high-yield fund from someone called "WAMCO" gets 0.26%. 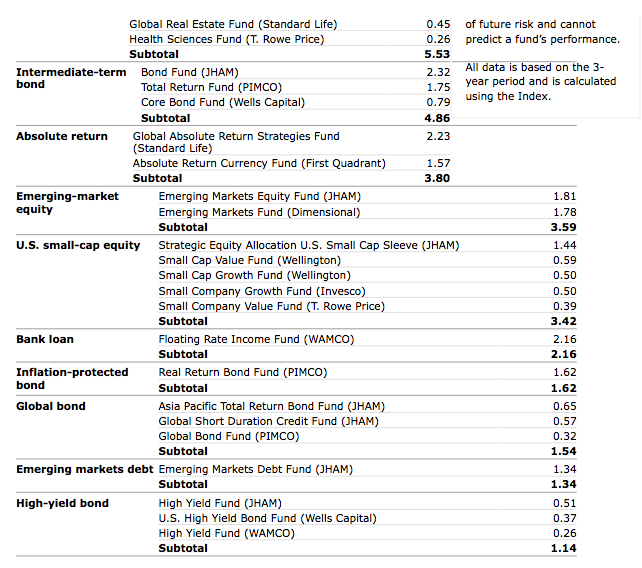 Pimco's Global Bond Fund gets 0.32%. I have no idea if these funds are any good or not. What I do know is at less than 1/3 of 1%, it doesn't matter. That's way too small to have any impact, good or bad. But it's not just individual funds that are sliced so fine the portfolio has been reduced to a puree. Look at the weights across different asset classes -- 1.14% in high-yield bonds (3 of them), 1.62% in inflation-protected bonds, and 5.53% in sector funds (6 different funds in sectors that are ALL included already in the broad-based stock portfolios). Huh? Now, you might think I'm picking on a random fund, however excessively diversified it may be. 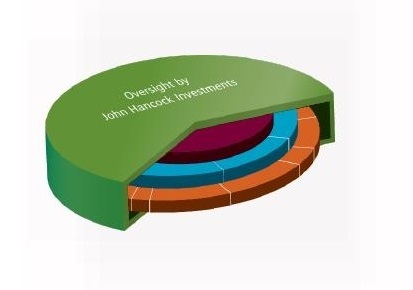 But their website claims John Hancock's "Multimanager Lifetime Portfolios" are ranked #1 by top Defined Contribution advisors for "open architecture," meaning the use of 3rd party investment managers. But instead of "multimanager," I think a better description of the portfolio is "almost every manager," meaning almost every money manager in the market gets at least a small slice of the portfolio. Investing today has become needlessly complex. Retirement planning too. The John Hancock Multimanager Funds are just an easy illustration of this problem.